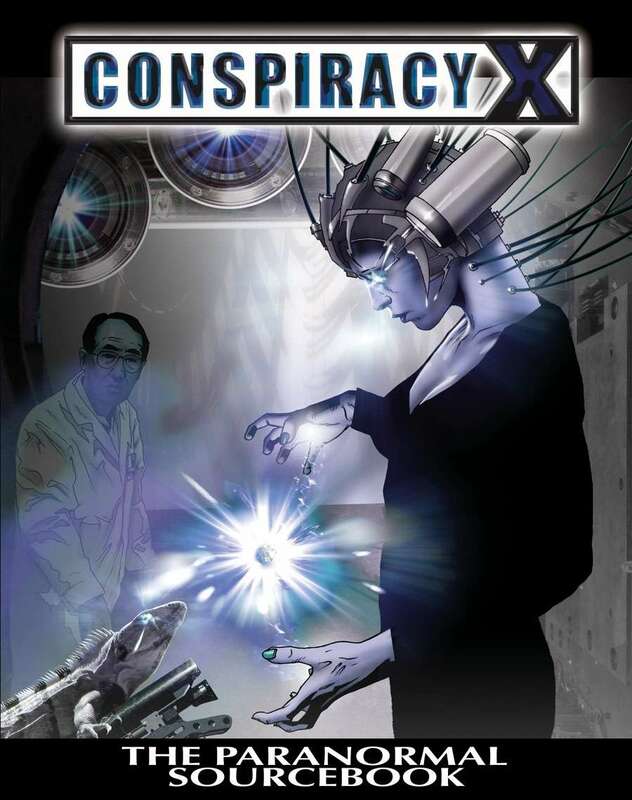 Conspiracy X: The Paranormal Sourcebook Available Now! Terrors lurk in the darkness, subvert the souls, and corrupt the mind. Secret detachments of psychics remotely view our every move. Powerful occultists perform secret rituals in hidden locations, manipulating our world to their ends. Mysterious forces invade our very souls, twisting and distorting the weak into strong and violent predators. Creatures flee from humanity’s encroachment on their territories, then strike out when prying eyes get too close. Spirits haunt the edges of our silent fears. This is the paranormal side of the world of Conspiracy X. Operatives struggle to uncover secret occult cabals, exorcise dangerous spirits, investigate the creatures of myth, and project their minds into future. The threat of alien invasion may loom, but the corruption of humanity by paranormal forces lurks behind every mission. Can you truly say you are prepared for the direst of humankind’s imaginings? The ageless battle against the paranormal continues. • Details on the history of psychic, occult, and cryptozoological phenomena. • Rules for a complete range of psychic abilities, including remote viewing, precognition, and even teleportation. • A comprehensive list of rituals from simple curses and blessings to weather control and immortality. • An in-depth discussion of the Seepage phenomena, the paranormal encountered at Loci and Pools, and their effects. • Details of the horrific effects of corruption, and sample archetypes such as vampires, werewolves, stalkers, prophets, and adepts. • Cryptozoological creatures from myth and legend, such as the Loch Ness Monster, Bigfoot, Chubacabra, and the mysterious Pilosi. • New organizations that can be used in any campaign as antagonists, aides, or infiltrators. The Paranormal Sourcebook is available now at the Flames Rising RPGNow Shop!